Billericay Town welcome Woking FC to the AGP this weekend in what can be considered the “game of the day” in the National South. The Blues, in 2nd position, take on the 3rd placed Surrey side. Both teams meet subsequent to recent exits from the FA trophy. With three away fixtures in seven days, a tired Town were defeated 2-1 at National North Hereford FC. Woking, up against Harry Wheeler’s National League Maidstone United, bowed out with honour after extra-time (3-2) in a replay. 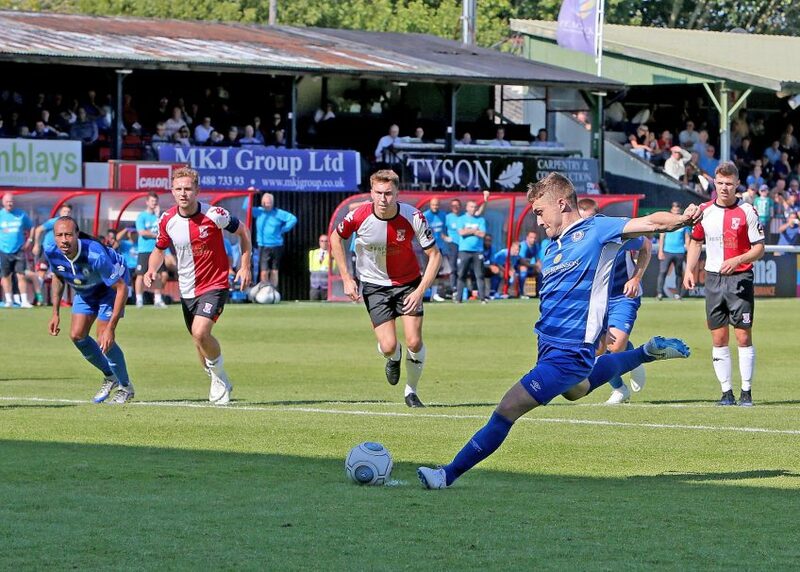 When the clubs last met in early September at the Kingfield Stadium, the Cards triumphed 2-1 after Billericay had taken the lead through a Jake Robinson penalty. In a match-up between 1st and 2nd at the time, Woking ended the afternoon five points clear at the top of the table. Since then, the Cards form has been good although home defeats to Dulwich Hamlet (1-2) and Bath City (1-3) has seen Torquay United and Billericay move ahead on points. Woking has 2 games in hand on the Gulls. 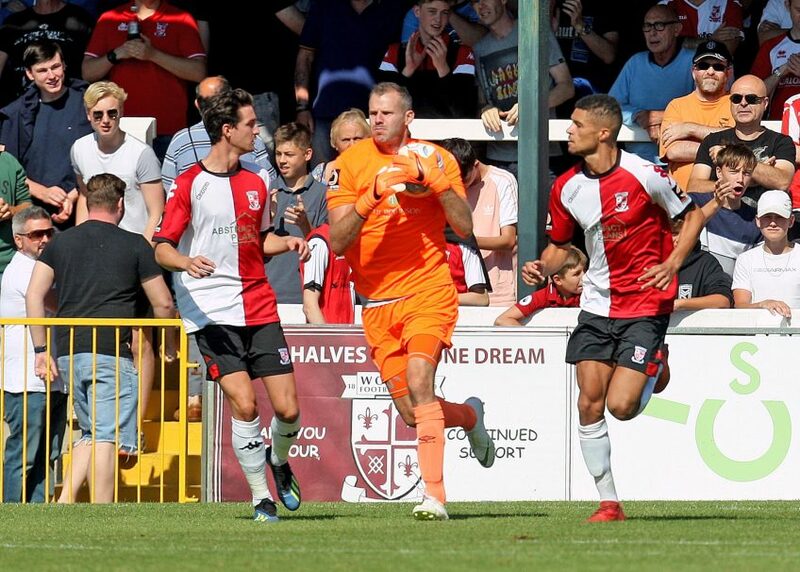 Since the set-back versus Bath City at the end of October, Woking have put together an impressive run of 4 League wins and 1 draw in the subsequent five matches. Last League game was away at Weston-super-Mare, which Woking dominated to win 4-2. More noteworthy, in terms of results, have been away wins at Torquay Utd and League Two Swindon Town (both 1-0) in the FA Cup. 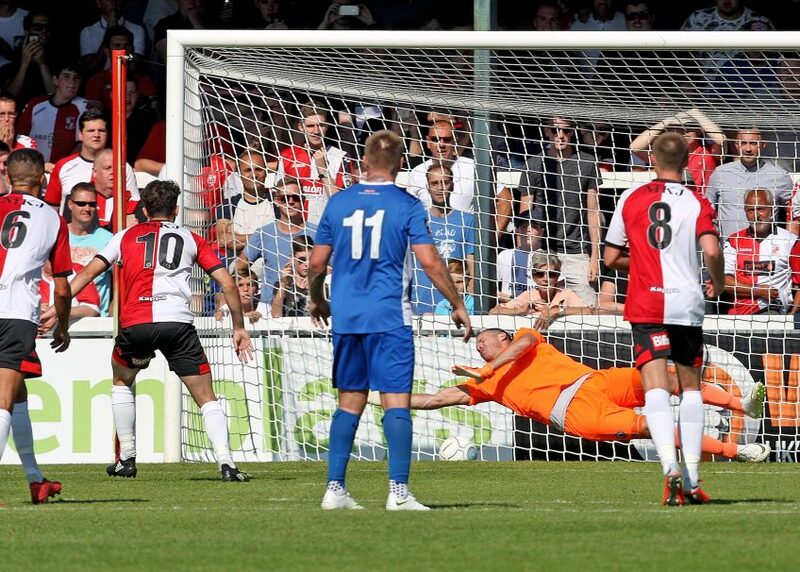 With a tradition of achievement in the Cup, Woking can look forward to a televised third round match on January 6th against Premiership, Watford. With Cup income currently above £100k already this year, the money-spinning game offers a chance for extra profile and help with the playing budget. After five seasons in the National League, Woking FC finished 21st (of 24) in 2017-18 and were relegated to the National South. In May 2018, the club appointed former Hampton & Richmond Borough Manger, Alan Dowson. Frequently over-achieving since taking over at the Beavers in September 2014, his last two seasons in the National South ended in back-to-back losing play-off finals. After multiple summer departures, Woking’s selection of a manager experienced at this level was to prove invaluable. Tasked with practically forming a new team from scratch, Dowson has assembled a successful side that has secured a place in the third round of the FA Cup and is one of the main contenders in the challenge for promotion to the National League. On landing the Woking role, Dowson professed it to be his “dream job”. In this case, it is very likely to be true as anybody listening in to his regular Friday video updates will know that Dowson comes across as a very honest, straight-talking man. An interesting point is that his assistant manager is none other than Sky football commentator, Martin Tyler, with whom he has worked for around 12 years in his previous three management roles at the Beavers, Kingstonian, and Walton & Hersham. Despite his high profile, Tyler is heavily involved and is likely to be doing his dream job as well. By coincidence, he is a Woking fan – now aged 73, he has attended games since the tender age of 8. As seems to be customary, Dowson has leant on the tried and tested by bringing his management team, comprising Tyler, and experienced UEFA ‘A’ licence coach, Ian Dyer, to the club. To provide stability at the back, and goals, he also secured the signings of five Hampton & Richmond players. Ex-Beveree left-back, and skipper, Joshua Casey, centre-back, Jack Cook, attacking midfielder, Max Kretzschmar, and midfielder Christian Jolley are all now fixtures in the side. Only defender, Charlie Wassmer, now loaned out to Maidstone United, has not featured due to a succession of injury related problems. Woking is by no means reliant on the former Beavers side and recruitment includes two erstwhile Billericay players in winger, Nick Wheeler, and centre-back, Ben Gerring. Despite the high level of change to the playing staff, the Cards have managed to achieve positive results, accumulating 11 victories, 4 draws, and just three losses in their 18 League matches to date. It has not always been fluent as, in the early months, laboured performances saw the team win without playing particularly well. Over the intervening period, Dowson has worked hard to create the right blend in the team in terms of personnel and formation. In our view, only five of the first X1 in the opening fixture – a 97th minute penalty securing a 1-0 win at East Thurrock – are in the frame to be in the starting line-up against Billericay Town this weekend. Kane Ferdinand, a near ever-present in midfield during the previous season, was a starter but is now unavailable through injury. Dowson’s favoured set-up is a 4-3-3 formation, which has at times morphed into 4-2-3-1 (against Billericay Town at home and Concord Rangers away as examples). Within this configuration, Jake Hyde, often ending up as a lone striker, can become somewhat isolated. As the team have become more familiar with the system, and new players have come into the squad, support has improved. Woking’s status as joint second top scorers (35 goals) in the National South demonstrates efficiency in front of goal, with four goals scored in two out of the past three League games. Although there appears to be some debate at Woking around the lack of goals from open play, we would take the view that they all count the same and the method of scoring does not necessarily matter. Woking boast a solid back-line with the centre-back pairing comprising the experience of Gerring with Cook, who made his first start in the fifth game of the season versus Dean Brennan’s Hemel Hempstead side and has retained his place ever since. Both are threats from set pieces with Gerring notching three headed goals from corners since joining the Cards from Billericay in October 2018. Skipper, Casey, at left-back has been quietly efficient and is a big influence on his flank. Recognised as the Vanarama National League South player of the month in November 2018, he started December strongly with a stunning cross that Hyde finished to beat Swindon Town in the FA Cup. Utility player, Nathan Collier, has been solid since switching to right-back from midfield. One of Dowson’s strengths has been in unearthing young players with several loanees settling well into the team. None have been more impressive than Armani Little, 21, who may share his name with a famous brand but is in no way a luxury player. As background, Little, a former Southampton academy graduate, was signed by Oxford United in June 2018 and subsequently loaned to Woking. A box-to-box midfielder, he has shone in his nine appearances for the Cards to date, combining hard running with some artistry. Regularly cited as man of the match, his ability to link with forward players and make penetrative runs into danger areas has helped the team. Unfortunately for Woking, his loan has expired, and, whilst he may return in January, he will not feature this weekend. Somebody that should be part of the Woking side this Saturday is Nottingham Forest loanee, Toby Edser, who joined in October 2018. Leaving Forest U-23’s on the same day as Billericay loan signings, Joe Coveney and Ethan Stewart, the 19 year old midfielder from Guildford has made more impact than our loanees. Starting him in central midfield, Edser has produced a string of good performances, including in the FA Cup versus Swindon. Adding balance to the Woking midfield is unsung hero, Christian Jolley, 30, who operates as a defensive screen. Returning after a long-term injury, the versatile ex-Hampton & Richmond midfielder, can also play out wide or up front. 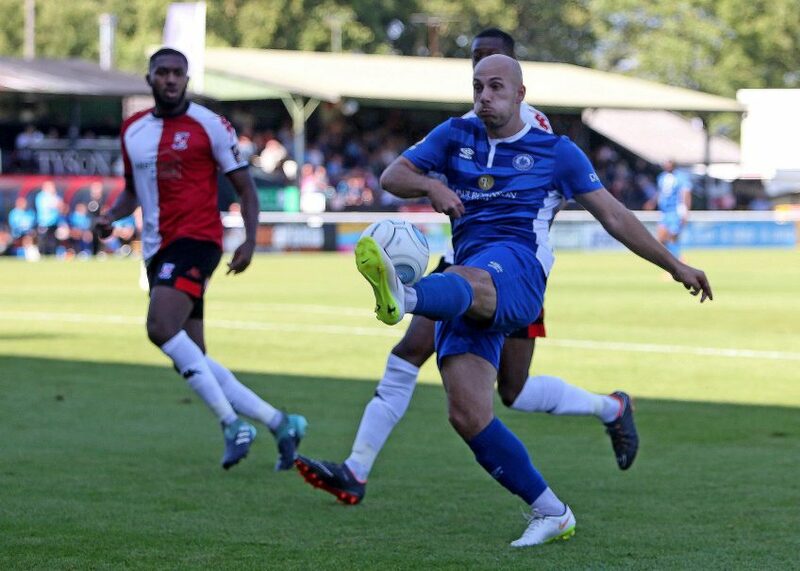 Although not always a starter, midfielder Paul Hodges, was outstanding in the previous game versus Billericay adding pace and directness in central areas. Spotted at a pre-season trial after a strong season at Southern League Premier South club Hartley Wintney, Hodges has seamlessly stepped up to the higher level. Always willing to take on his man, Hodges commits defenders and so far this campaign four players have been sent off for fouling him and accruing second yellow cards (Jefford, Oxford City; Eyong, Billericay Town; Anau, Welling United; and Gunner, Chippenham Town). As an option from the bench against a tiring defence, he is likely to be a major threat. In my opinion, Woking’s Key dangerman is on loan left winger, Jamar Loza, who adds electric pace and has an eye for goal. Joining temporarily in October 2018 from Maidstone United, the Jamaican striker has hit a hot streak of form, scoring six goals in just four appearances. A recent hat-trick against Weston-super-Mare leaves him with the incredible statistic of a goal every 37 minutes in the National South. A former Norwich City player, Loza saw last season spoiled by injury at Maidstone. After storming back in pre-season to earn a new contract at the Gallagher, a change in management, which preferred to switch to a wing-back system, saw him fall out of favour and join the Cards. Woking do not lack attacking options and can call upon attacking midfielder, Kretzschmar, who scored 24 times for Hampton & Richmond last season. Back at the Kingfield Stadium with something to prove after spending the 2016-17 campaign at the club, Kretzschmar has started strongly and is the club’s leading scorer with 10 League goals. Used on the right side, or in a No.10 role, he has scored from the penalty spot nine times so far this season in all competitions, missing only once. Striker, Hyde, with six League goals, is a vital cog in how Woking plays, offering excellent hold-up of the ball and superb work-rate. Key in leading the press against the opposition back-line, he was extremely effective against a Weston-super-Mare side that tried to play out from the back. After a week in which the team can concentrate on training in its new structure, Billericay should be at an advantage to a Woking side that had to contend with a draining replay and extra-time on Tuesday night in the FA Trophy. With a number of departures from the playing staff, the Blues line-up should almost pick itself within a 4-3-3 formation. With two arrivals signalled by Chairman, Dan Groves, from a National league club, extra players could be added to the squad late in the week. With a busy Christmas program to come, new recruits, especially in central defensive areas are vital. Based on current knowledge, we expect centre-backs to be Paul Rooney and Danny Waldren flanked by Joe Kizzi on the right side and Callum Kennedy as left-back. Midfield should include captain, Sam Deering, in a central role with Alfie Potter on the right and Jake Howells on the left hand side. Up front, Moses Emmanuel and Ross Lafayette are expected to lead the line with support from wide provided by Devonte Aransibia. Should he be fit, Adam Coombes would come into contention. With a strong band of travelling support, and rivalries intensified after the first match in September, the fixture is expected to be highly competitive. 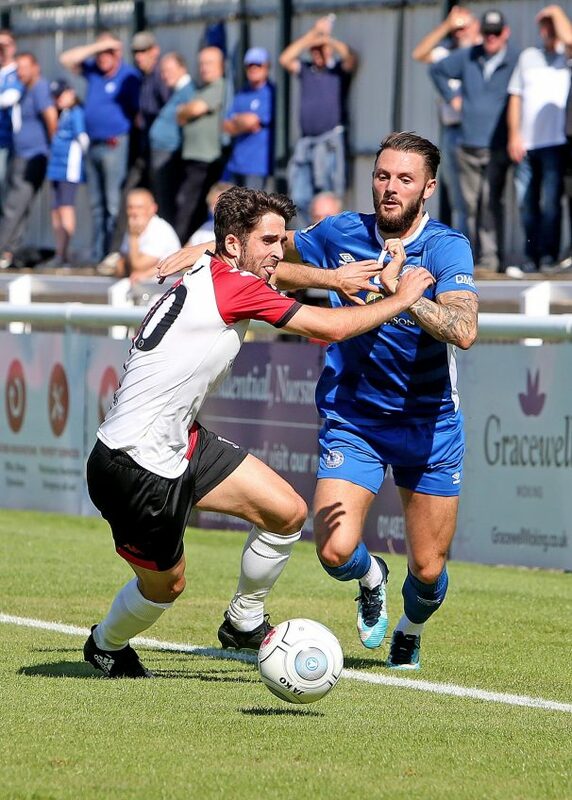 Apart from the unexpected home defeat to Oxford City, Billericay have bounced back since then to show good form in winning demanding away games at Eastbourne Borough and Bath City. The loss at Hereford looked to be a game too far in seven days for a stretched Blues squad. However, with adequate time to prepare, the home side can approach Saturday’s game with Woking in a mood of optimism. For all those coming to the match, please enjoy the game. For those that cannot attend, coverage is available via the Billericay Town app courtesy of @btfclive radio.